As Dean of the Faculty of Education I wish to welcome all new, returning and prospective students to our Faculty. It is a privilege to be working with such a thriving and dynamic Faculty and I look forward to continue building on its strengths and achievements. This endeavour for excellence in teaching and research requires teamwork and our team consists of dedicated professors and staff and, of course, our Faculty is distinguished by the quality of its undergraduate and graduate students. Resting at the foot of Montreal's picturesque Mount Royal, McGill University's Faculty of Education traces its beginnings to 1857. Educators' roles have evolved dramatically since then, and at each step the faculty has created programs to help them meet the challenges of their profession. Today, McGill's Faculty of Education ranks as one of the world's best. In addition to educators, our alumni move on to careers as principals, deans, policy-makers, lawyers, psychologists, musicians, athletes, managers of professional sports teams, and more. The Faculty of Education specializes in research on human development. Recognized investigators from our three departments advance knowledge that targets psychological, physical, social and pedagogical aspects of human development as they relate to the well-being of individuals and socities. The mission of the Faculty of Education is the advancement of knowledge and its applications to the development of human potential in a variety of learning environments and over one's lifespan. The Faculty values and encourages multiple perspectives and effective approaches to cultural, cognitive, informational, physical, and social dimensions of human development. It remains committed to excellence and ethical practice in teaching, scholarship and service at the local, national, and international levels. The Faculty of Education has a distinctive role as defined by its multiple clienteles and its areas of excellence in research. In its work, the Faculty serves the full spectrum of people preparing for, or already involved in, roles related to educational improvement: professionals who provide educational services, scholars and researchers concerned with the advancement of knowledge related to education, people involved in educational governance - the Faculty works with professional practitioners, and those intending to become practitioners, and with those involved in or aspiring to careers including scholarship and research as well as practice. We work with partners in the field to relate knowledge generated by the Faculty to improve the education of all students. In particular, the Faculty has an integral role within Quebec Society. The Faculty has a historical and continuing commitment to the English Community within Quebec, and its institutions. In partnership with MELS and Quebec's teachers and other educational leaders, we prepare teachers, administrators and researchers, organize outreach activities and conduct research for school improvement. The Faculty is a bridge linking the educational agendas and approaches of the Anglophone, Francophone and Allophone communities. Within this role we have a concern for the teaching of English as a first and second language and of French as a second language. Working in partnership with Indigenous communities and institutions, the Faculty supports the efforts of Indigenous peoples to meet their educational goals by helping to provide initial and in-service programs for Indigenous teachers by engaging in research that supports these endeavours. The Faculty facilitates the reciprocal transfer of knowledge between Quebec, other parts of Canada and other countries, and has a commitment to international leadership. That is to say, the Faculty is committed to influencing the national and international community of scholars and practitioners. Through its location in a cosmopolitan, multilingual and multicultural city, and its international staff, the Faculty welcomes students and visiting scholars from around the world, and extends its efforts in research and educational improvement to many countries. Exceptional graduate programs linked to this research - Such graduate programs are acknowledged through international accreditation, through involvement of graduate students from other significant universities from around the world, through successful program modeling, through effectiveness in producing competent graduates within suitable timeframes, and through involvement of graduate students in teaching activities at lower levels. Academic research and scholarship for the advancement of understanding and knowledge, generated through research groups and centres, and reflective practice, and shared with scholarly communities through professional supervision, conference presentations and the publication of reports, journal articles and books. Education of practitioners and researchers in the Faculty's major areas of scholarly and professional inquiry through B.Ed., M.Ed., M.A. and Ph.D. degrees. Education of professionals for teaching, administration, counselling, and other professional roles through B.Ed., M.Ed. and Ph.D. degrees. Policy research and consultation in a wide range of settings in Quebec, Canada and internationally. Seminars and workshops within and outside the Faculty that link practicing educators to the agendas and insights of leading educational researchers, thinkers and leaders leading to lifelong learning. Application of theoretical principles related to such fields as educational and counselling psychology, administration and management, instructional processes in education, teacher education, and higher education in general. 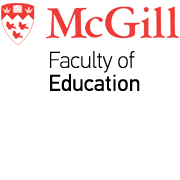 Cooperative partnerships with other educational, business and community organizations for research, professional development, educational innovation, organizational development and program reform, including other faculties and departments at McGill.